The WSED International Conference will take place in Wels, Austria from February 27 till March 1, 2019. The World Sustainable Energy Days bring together more than 650 delegates from 50 countries from Industry, Academia and Public Sector to embrace together the necessary transition to a clean energy. The 13th REHVA World Congress, CLIMA 2019, will be held from May 26 – 29, 2019 in Bucharest, Romania. The congress theme is “Built environment facing climate change” featuring discussions about the capacity of new and refurbished buildings, and technical building systems to mitigate climate change in an energy efficient manner while respecting comfort and security requirements. Sustainable Urbanization and Energy System Integration. more than 20 technical and scientific workshops. How do you ensure that new services are citizen-centric, resilient and sustainable? How to define clear benchmarks, collaborate effectively with industry, and achieve real results? This event will host demonstrations of equipments and services and will provide a clear overview of the latest developments in smart city implementation and allow open exchange between regional and international experts on the real-life challenges of implementation. SABINA project will be represented by Guido Sabatini from DSME with the contribution “Smart energy systems in buildings – the SABINA case” in the Session 6: Smart home, smart buildings, smart city (sustainable customer premises) on October 10, 2018. The 9th edition of the European Congress on Energy Efficiency and Sustainability in Architecture and Urbanism (EESAP 9) and the 2nd International Congress on Advanced Construction (CICA 2) approach the issue of Smart Communities, which is based on the need to incorporate human scale and its nearby area as an essential variable for cities intelligent management, as a consequence of current society’s aim to achieve higher levels of life quality. As in previous editions, the congress is especially aimed at professionals, researchers and students for its academic character. The conference has extended the scope of scientific and technical diffusion to the entire innovative construction sector. Furthermore, it is opened to the business sector, due to their close relationship to meet current social demands on business innovation for achieving higher quality of life. SABINA project will be represented by University of Navarra’s contribution about SABINA and the calibration methodology. EESAP 9 and CICA 2 will take place on September 10 – 12 2018 in Bilbao, Spain. More information is available here. Research demonstrated the huge potential of thermal mass in buildings to maximise the use of renewable energy. The first step to take full advantage of the free thermal storage capacity of the buildings is to develop high quality models. This workshop will introduce you to the most recent actions carried out in the framework of the SABINA (SmArt BI-directional multi eNergy gAteway) project, thanks to which we will be able to benefit from a new methodology to obtain calibrated simulation models that will match the real thermal behaviour of buildings. On March 26, 2018, a workshop “Energy flexibility in buildings: a key asset in the future energy system” will take place in Barcelona, Spain. The aim of the workshop is to deeply understand the role of energy flexibility that buildings and electrical vehicles can play within the future energy systems with a high share of renewables. 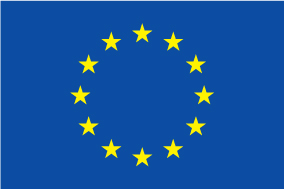 The workshop will go through the outputs of international research activities and best practice projects. A contribution “Exploiting flexibility at district level: the SABINA project” will be presented by Cristina Corchero from IREC. 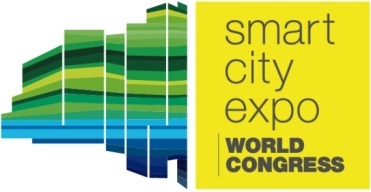 Smart City Expo World Congress is an event that has become the industry leader in smart cities.This year, the World Congress will take place on 14 – 16 November 2017 in Barcelona and will introduce, debate, and share pioneering ideas and approaches from the most highlighted speakers. The SCEWC is a meeting point for companies, government, entrepreneurs and research centres to show, learn, share, network and gather inspiration to support the development of the cities of the future. Increasing renewable energy uptake will bring the need for greater energy flexibility and storage in order to match supply with demand. What if buildings could play this role, by offering thermal storage capacity that is currently untapped? The event “Energy storage in buildings – the potential in the Energy Package” will explore this concept, and make the link between the different elements of the Energy Package, from energy performance of buildings (EPBD) to electricity market design. The event will take place on September 25, 2017 in Brussels. More information is available here.